Specialist endurance conditioning coach, Jaco Ferreira, has years of international and national training and coaching experience. 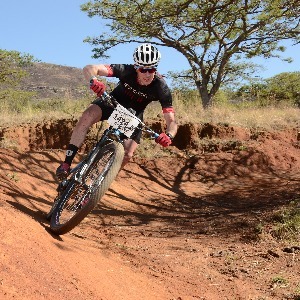 Jaco also has Crossfit Level 1 and Crossfit Endurance Coaching qualifications and successfully completed multiple Cape Epics as well as various other stage races. Being an athlete himself, he understands that as an endurance athlete you want to perform at your best and want to apply the best training protocols to achieve optimal results! Jaco Ferreira expert endurance conditioning coach, has years of international and national training and coaching experience. Jaco is a Crossfit Level 1 and Crossfit Endurance Coach and successfully completed multiple Cape Epics as well as various other stage races. He inspires you to achieve your goals and live life inspired, whether it is getting rid of excess weight to performing optimally in your sport, utilising various training protocols including Crossfit Endurance training, High Altitude training camps at Afriski, Electro Muscle Stimulation and various other approaches, you can be assured your life will be optimised to the max! Being an athlete himself, he understands that as an endurance athlete you want to perform at your best and want to apply the best training protocols to achieve optimal results. You also want to do this with as little risk of injury as possible, in the shortest effective time period. Jaco adds massive value to you as an athlete utilizing the best in functional conditioning methodology and EMS training technology which results in a much stronger core and overall conditioned athlete. Your performance will be maximized and you can be assured that you will walk out a Stronger, Faster, Fitter, Leaner version of you. I accept athletes with HR and Power meters. Anyone welcome! Success. Coach Jaco Ferreira has been notified of your message.